In 1985, ISM created a proprietary, multi-step change management methodology to ensure the successful implementation of our customers’ CRM initiatives. 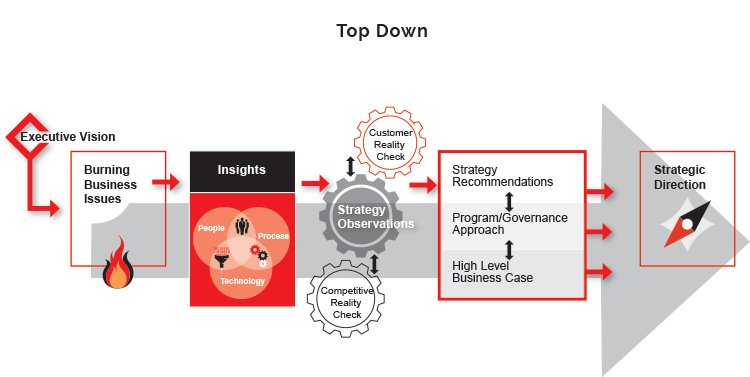 Since then we have found this methodology to be so successful that we now apply it to all customer engagements, including Digital Transformation, Social Media Communities, Emerging Technologies, Customer Engagement, and Data & Analytics. Our methodology is built on a paradigm that incorporates people, process, and technology. Specifically, we have found that 50% of the success of customer-centric initiatives depends on people issues (i.e., organizational readiness), thirty percent depends on effective business processes (both internal and external customer-facing processes), and 20% depends on technology tools. Our change management methodology gathers both ‘top-down’ (executive and management) and ‘bottom-up’ (front-line sales, service and marketing personnel) perspectives to ensure that the critical mix of people, process and technology is properly aligned. 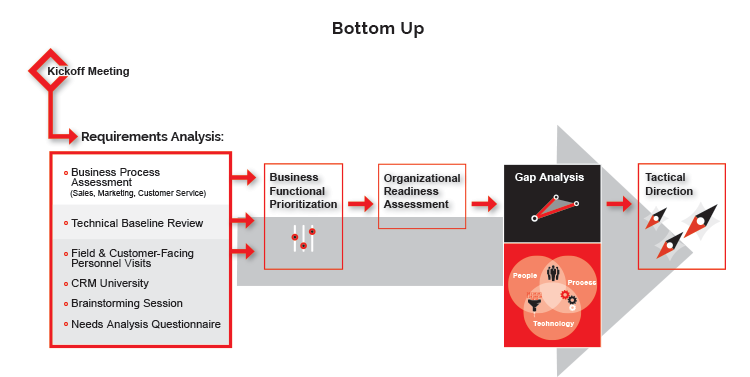 These two perspectives come together through the use of 3-to-6-month implementation iterations that ensure that both top-down and bottom-up perspectives are properly balanced, and that front-line benefits get implemented early on. 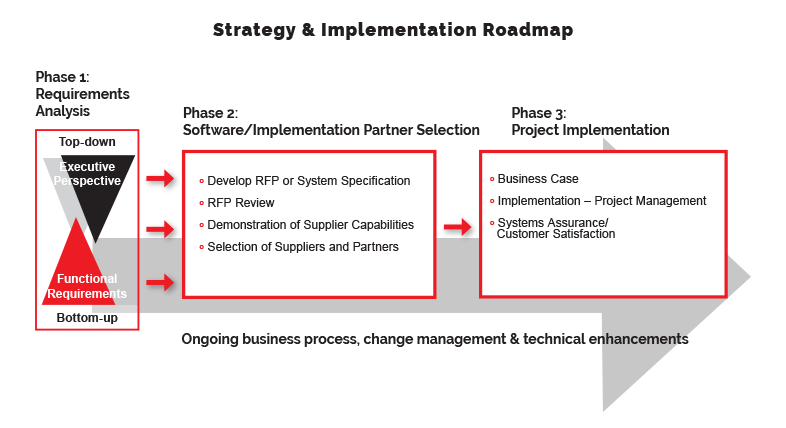 The end result is a phased 2-to-4-year Strategy and Implementation Roadmap. This includes detailed project requirements with respect to people, process & technology, comprehensive planning for software and implementation-partner selection, and finally, assistance as needed with all aspects of project implementation. Our methodology is structured yet flexible. ‘Structured’ in that there are key activities and deliverables that must be met within the methodology for the initiative to be successful. ‘Flexible’ in that we also take into account each company’s unique culture and adjust the methodology to ensure optimal fit. For additional information about ISM’s Customer-Centric Consulting Services, call (301) 656-8448, or e-mail us at sales@ismguide.com.